Consider selling your property? North Tahoe Truckee real estate markets are ever changing requiring experience, knowledge, and creativity to sell your property at its highest value. 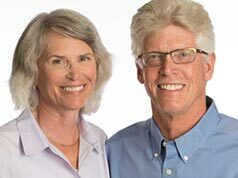 Peter and Linda Morris, with over thirty years of experience of selling real estate in the Tahoe area are committed to providing you with professional expertise through the selling process. When you list your property with us, here are the many services you can expect. One of the most important aspects of selling your home is determining Fair Market Value. By thoroughly inspecting your property and outlining all its important features and upgrades, we compare recent sales of similar properties, factor in current market trends and interest rates, and take into consideration the competition. At this point a listing price is recommended. Enhancing the marketability of your property will bring its highest value. This may include de-cluttering to make your home look more spacious or repairs that improve its overall value. With your approval, we can schedule and supervise a home improvement program to include a professional stager, cleaner and/or handyman. The goal is for prospective buyers to envision living in your home, giving them the opportunity to mentally begin ownership. Provide sound counsel through the negotiation process with over 30 years sales experience and dedicated volunteerism for the California Association of Realtors rewriting contracts to improve Realtor service. Signatures for transaction documents can be obtained digitally, mailed or in person, your choice. We store a hard copy (and digital copy) of your transaction documents for five years. As a courtesy, our office can hold a key for your property in case you have need for one, wish to give access to a vendor or friend. Of course we are available to offer recommendations for professional vendors as the need arises. What is the value of your North Tahoe Truckee property?